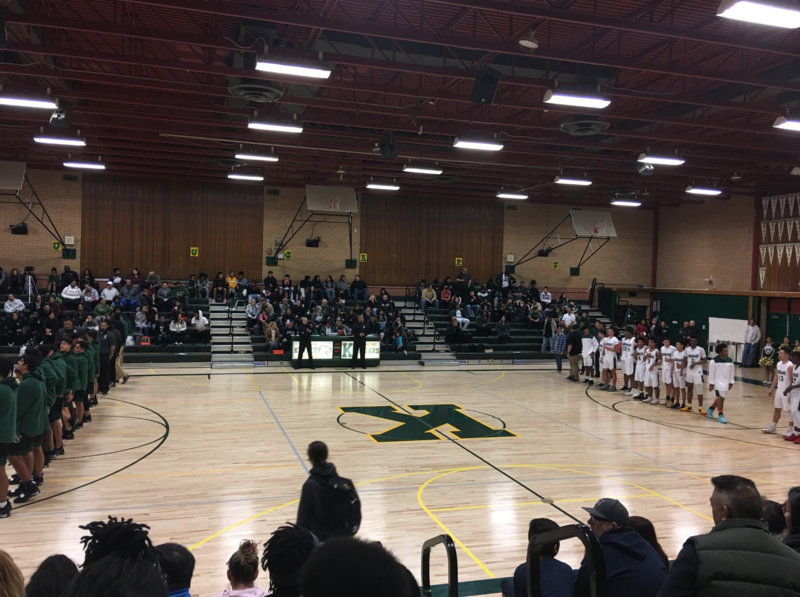 When news regarding the repair of the John F. Kennedy gym was declared, school administrators were pleased and wanted to put on a celebration for the revival of the gym. Administrators had long prepared for the celebration, by putting flyers everywhere and spreading the news through word-of-mouth. Having the date set and ready, December 11, 2018 would be the official day for the grand opening of the gym. The first impression of the newly created gym was eye-catching as new installments were made everywhere. The floor gym was replaced with a innovative design to make sure another incident of flooding wouldn’t happen again. Last year, the gym was destroyed by a heavy rainstorm that swept under the floor forming bumps filled with water, rendering the gym unusable. However, this floor design has been created in a way to allow for a pocket of air under it, creating room for water or excess material to escape. 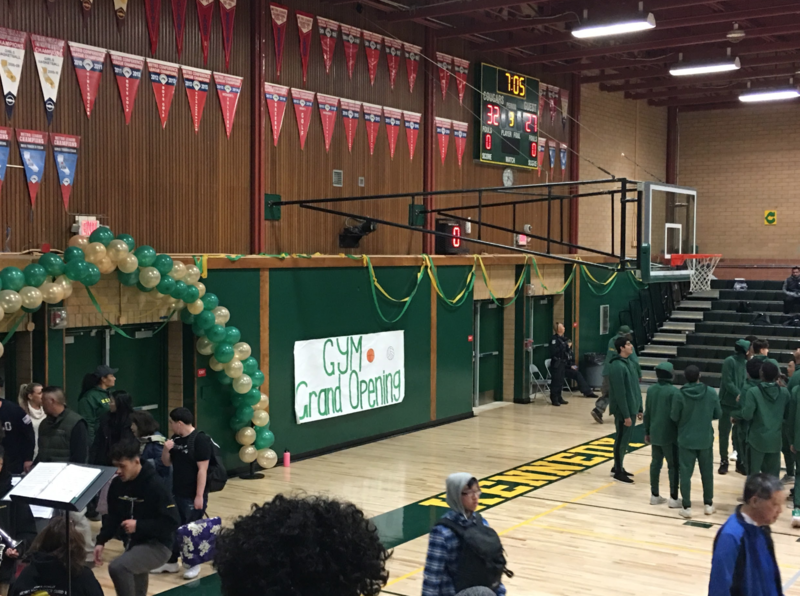 Along with the floor replacement, new bleachers were put in with a small curvature making them comfortable to sit in, and are painted in a green and gold theme to match the Kennedy colors. Each of these installments complement each other well, producing a great new look for the school gym. One of the most memorable features of the opening was the food fair, which was created by various clubs. A lot of delicious items were served, ranging from egg rolls to hot chocolate. Great products were being sold quickly, giving clubs an effective fundraiser, while satisfying hungry students as well. Alongside with the food fair was the start of the boys and girls JV and Varsity basketball seasons. All four teams played their first league games against Monterey Trail. These games were exciting as each scored point was accompanied by loud chanting and booing against the opposing team. Kennedy’s second bench was able to shut down Monterey Trail, helping to secure the win for boys’ junior varsity and girls’ varsity. The opening of the gym was a magical moment in Kennedy history, and proved to be one of the most enjoyable events of the year. If it weren’t for Kennedy students, the gym’s “grand opening” would’ve been any other event, but the students of Kennedy came through to represent their school spirit. The new gym only helped students’ Cougar Pride shine through, giving a good representation of Kennedy High School.